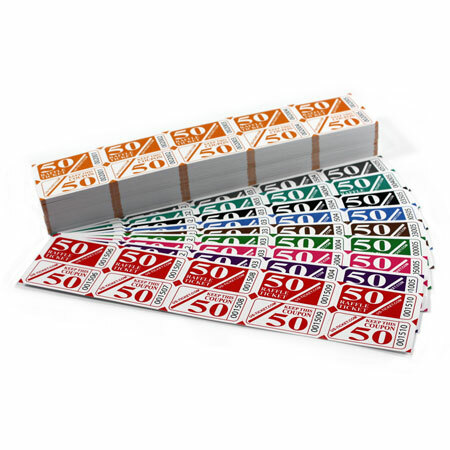 Our 50/50 Raffle Strip Tickets come in a variety of colors and are printed on bright white card stock padded at one end. Tickets are numbered sequentially. Five two part tickets per strip, 100 strips per booklet.